I can see myself at fifteen crouched over a tape recorder in the front room of my parents’ house reciting ‘Ode to the West Wind’ by Shelley in a singsong elevated voice, gesturing grandly with my arms. I’d closed the door and half drawn the curtains so I could abandon myself to my grand passion without thinking too much about my parents’ reaction. It was a cri de coeur, an adolescent protest against having to account for myself as ‘sensible’ while answering questions about timings and where I was going every time I went out. The house was a controlled space with a laid down routine where everything had to be justified, itemised and explained, and this was my big breakout, pushing myself to be wild and flighty and poetic. At a deeper level I wanted to transcend what I saw as a dull, literalist upbringing that only valued hard graft, material possessions and promotion at work. I was grandstanding, of course. When I wrote my own poems in secret I worked myself up, pretending to be inspired. In fact they didn’t come easily and lacked coherence. They were static, over-elaborate and repetitious, straining for the words, announcing their feelings, overstaying their welcome. When I went to university I gave up writing in favour of experience. I was collecting impressions, living adventurously and reading writers who weren’t on the syllabus as a preparation for the magic moment when it would all come together and I’d begin writing my inspired, straight-to-the-page on-the-road novel. Afterwards, as a teacher, I was too exhausted to write except on Sundays when I’d jot down a few Hopkinsesque lines. I didn’t edit very much and I knew my efforts weren’t original so I only shared them with a few uncritical friends. I felt that if the words didn’t come naturally then that proved I was a doodler rather than a writer. In any case the classics were way beyond my reach. I loved and envied novels like ‘Mrs Dalloway’ and ‘Ulysses’ and because I’d never equal their brilliance I didn’t try at all. It took me many years to understand the editing process. I went through alcoholism and came out as a cross-dressing man, but a feeling of blocked creativity remained. I completed an MA in Creative Writing with Goldsmiths College, went part-time in order to write, developed my third novel on a Guardian/University of East Anglia course, but it took close forensic work to dig up an individual voice from my pages and pages of schooled and competent writing. Although my difficulties in life were germane to my writing, putting them down on paper wasn’t at all therapeutic; what mattered more was the process itself where words were the guide rather than some pre-ordered plot or confessional intention. I learned to shape, and be shaped, by the language and character, not as an exercise but through hours of repeated line changes, switching phrases, consulting the Thesaurus and sometimes cancelling a whole day’s work to start again. What I discovered was that writing in the literary mode depended on listening, always listening, hearing the line, the feel, the flow. But to make any claim to literary writing always feels chancy, so I developed a bilateral approach telling myself that I really could do it while remaining dissatisfied with what I’d achieved and always straining for improvements. It’s aspirational, always in doubt, and I’m just the messenger. So I’m left with the effort to fashion perfect phrases and bind them together, to go deep, avoid cliché and follow the dictates of character and language. The aim is to give pleasure, passion and insight to the reader and my job is to use that head-down work ethic my parents believed in to take the reader there. I’m a late starter when it comes to writing and, to some extent reading. Unlike writers who had childhoods immersed in books, I didn’t like reading. Technically, I could decode a text, but I never saw books as a source of interest and pleasure. As for writing, I was a terrible speller and this seemed to be the only important thing. A legacy from this poor start in literacy meant I carried a pocket dictionary in my handbag for years to prevent me from making ghastly errors. With this history, it may come as a surprise that I am now a writer. My interest in novels started when I was seventeen and during the long commute to work, I tuned into reading. The first book I read from choice was Valley of the Dolls by Jacqueline Suzann which is now a Virago Modern Classic. It’s been a challenge to make up lost ground in reading but I am closing the gaps in my knowledge of literature. I recently came across the terms ‘deep readers’ and ‘shallow readers’. Deep readers find an author they like and read everything that writer has ever produced. Shallow readers dip into books by a range of authors. I am very definitely a shallow reader and I tend to read single works by a range of authors. My taste is eclectic although I especially enjoy books set in remote and wild locations. My writing experience began with letters. I lived overseas in my twenties and have box files containing aerogrammes I wrote to my parents during a journey from London to Kathmandu on a double decker bus and later when I lived in Australia and Papua New Guinea. Anecdotes I shared through these letters were turned into short stories as part of undergraduate studies to become a teacher. Following the birth of my children, all creative energy was invested in them. I abandoned writing projects and developed a career in education. Years later when I was working in a challenging environment, writing again became important. I was investing too much energy into my paid work and needed to find an outlet to channel my creative drive. This is when I began writing my first novel. After the first novel came a second and a third. I see these unpublishable manuscripts as my writing apprenticeship. Beside these long projects, I began to enjoy writing short fiction. There’s something very satisfying about finishing a piece of writing and after a couple of competition wins I began to split my writing time evenly between short fiction and novel writing. In 2013, I was made redundant and this provided the opportunity to fulfil a long held dream. I love learning and the as a teacher it’s great to watch pupils progress but it sometimes felt like I wasn’t moving forward at all. I decided to study for an MPhil in creative writing. When I had completed my creative product and the thesis was ready for submission, I realised I didn’t want to stop and transferred onto a PhD. I passed my viva in November and have nearly completed the corrections. My desk is clearing and I’m already engaged with new projects: from writing a novel using the voice of a six-year-old narrator to co-writing a comedy script to be staged in Bridport, autumn 2018. Wherever will this writing journey take me next? Heaven’s Rageis a memoir that explores addiction, cross-dressing, bullying and the hidden sides of families, discovering at their core the transformative power of words to rewire the brain and reconnect with life. You can read more about/buy Heaven’s Rage here. Purpleis a coming-of-age novel, a portrait of modern love and a family saga. Set in the North of England, it follows the story of shy ingénue Matthew Lavender living through the wildness of the 60s and his grandmother Mary, born into a traditional working-class family. Signed copies of Purple can be bought here. 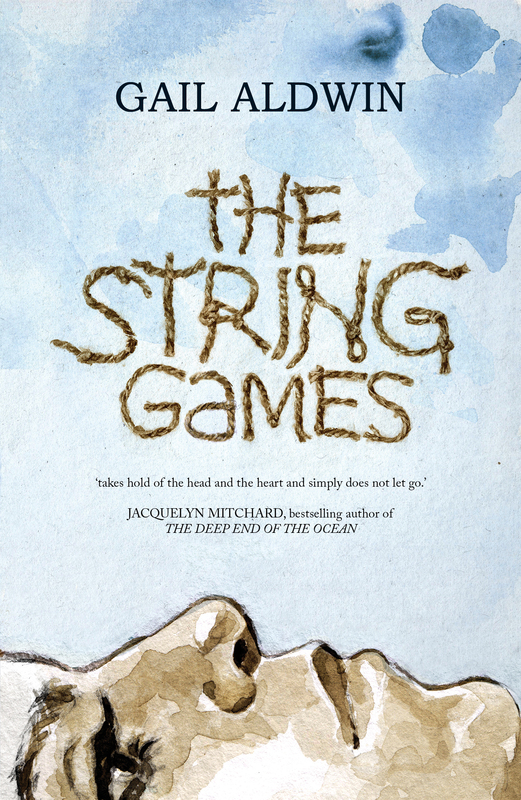 GAIL ALDWIN is a prize-winning writer of short fiction and poetry. Her work can be found online at Ink, Sweat & Tears, Slamchop and Words for the Wild and in a range of print anthologies including Flash Fiction Festival One (Ad Hoc Fiction, 2017), Gli-ter-ary (Bridge House Publishing, 2017) and Dorset Voices(Roving Press, 2012). As Chair of the Dorset Writers’ Network, Gail works with the steering group to support the skills and confidence of writers across the county by connecting creative communities. She is also a visiting tutor to undergraduates of creative writing at Arts University Bournemouth. In 2017, Gail co-wrote Killer Ladybugs,a short play that was staged by Cast Iron Productions (Brighton). 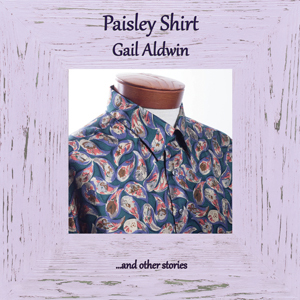 Paisley Shirt,Gail’s collection of short fiction is published by Chapeltown Books and was longlisted in the Best Short Story category of the Saboteur Awards 2018. Paisley Shirt is available to purchase through the Book Depository (no postal charges and dispatch within three days). The same piece, in a slightly different order, can be read on Leslie Tate’s blog here. Are there occupational hazards to being a writer? Why not pop over and take a look at my answers? Click here. Social Media for Writers with the Dorset Writers’ Network. A new challenge for the new year – get to grips with social media! Winfrith Village Hall, Winfrith Newburgh, Dorset, DT2 8LR. Click here for location details and further information about the venue. The morning session will give you the opportunity to explore how to use social media to promote your writing with Liz Gordon of brilliantfish. brilliantfish works with writers through all stages of the publishing process and uses their expertise to provide excellent support for writers entering the world of publication. Lunch will be provided and there will be time for networking. During the short afternoon session, the updated Dorset Writers’ Network website will be shared. Please have a look and contribute to the discussion about what your want from the site.